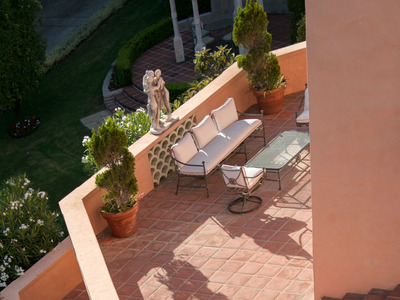 Paramount PicturesHorse head not included. The iconic Los Angelesmansion seen in 1972 classic “The Godfather” is for sale for $US135 million. 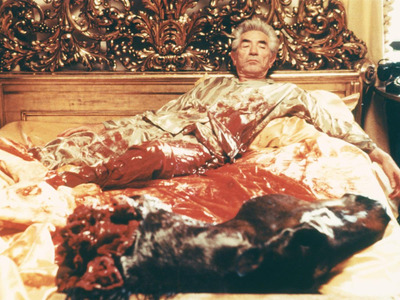 In the movie, the mansion was the setting of the famous scene with the severed, bloody horse head in the bed. 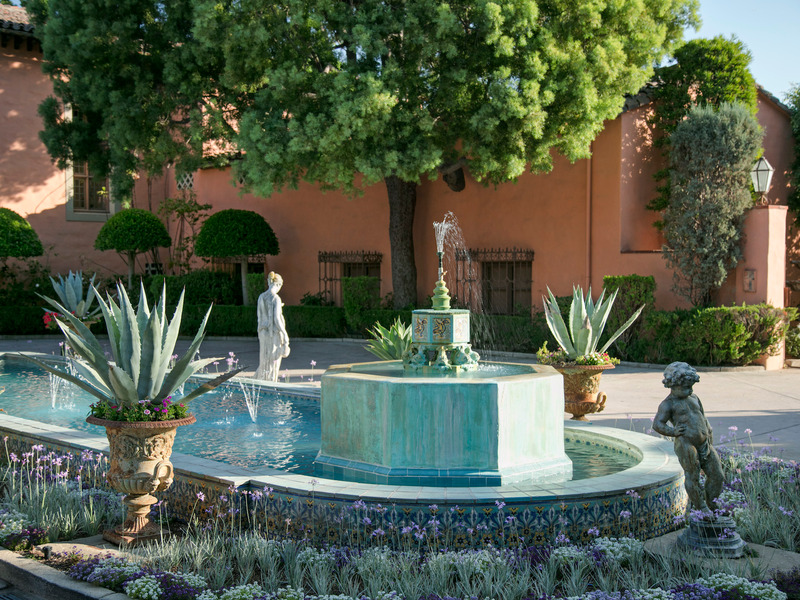 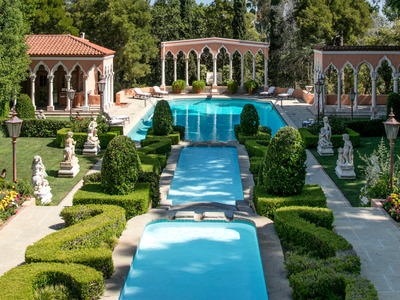 The Mediterranean-inspired estate has 19 bedrooms, 29 bathrooms, and an 800-foot driveway. 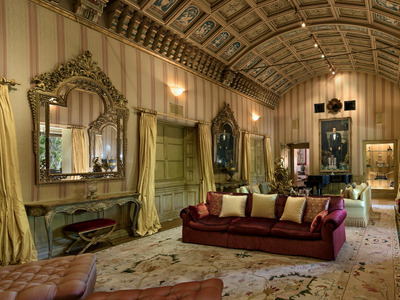 At one point, it was available to rent for $US600,000 per month. In the classic 1972 film “The Godfather,” one unlucky character named Jack Woltz, who lived in a beautiful Los Angeles mansion, made the mistake of crossing the Corleone family. The next morning, he woke up covered in blood with a severed horse head in his bed, now one of the movie’s most iconic scenes. 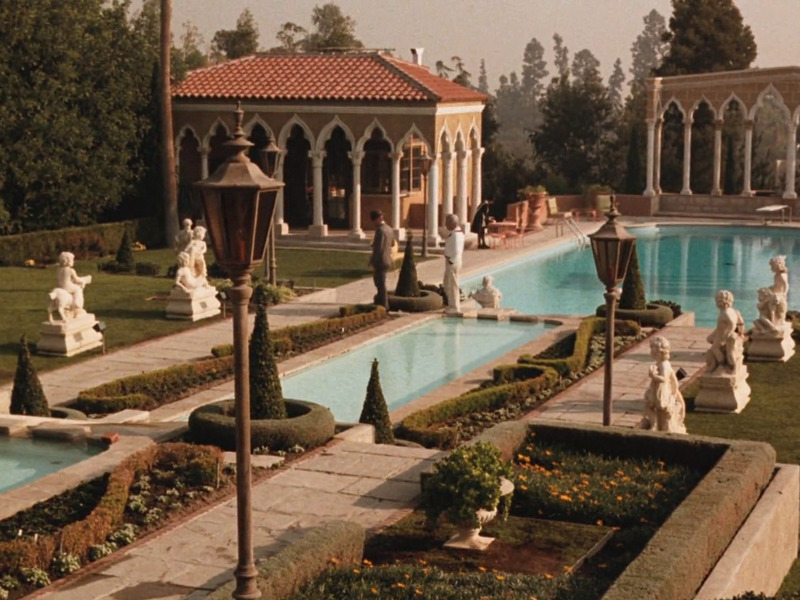 Fans of “The Godfather” will be happy to know that they can now buy the Los Angeles home where the scene took place – as long as they have $US135 million to spare. 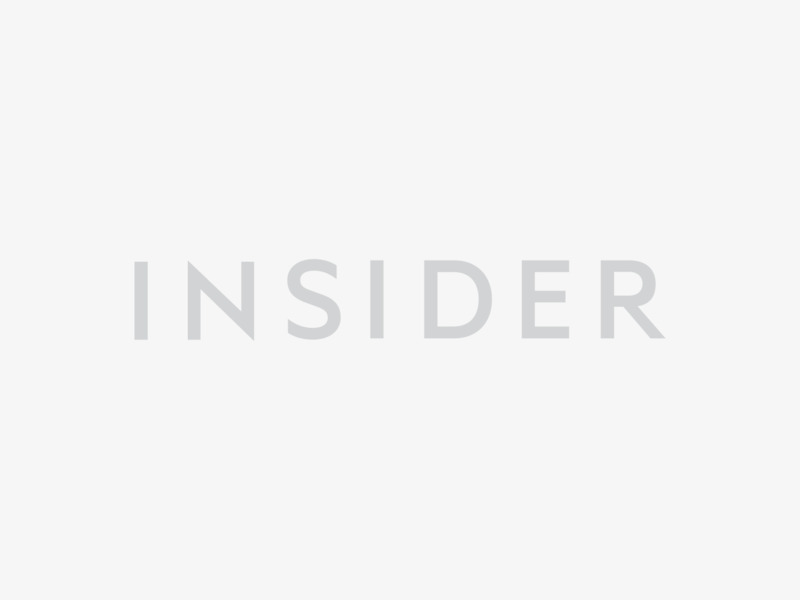 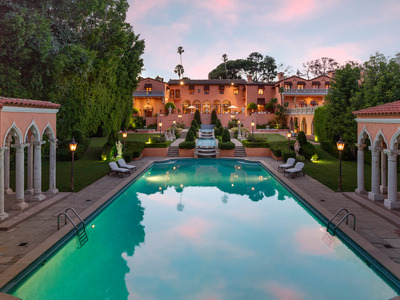 The sprawling 153,692-square-foot Beverly Hills estate, nicknamed “The Beverly House” and once owned by media titan William Randolph Hearst, was previously on the market for $US195 million in 2016, according to Forbes, so you could say the new price is an offer you can’t refuse. The property was previously for rent for $US600,000 a month in 2013, The New York Daily News reported. 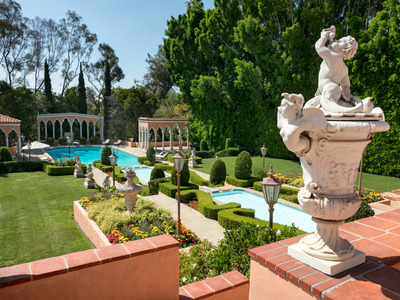 If it sells for its current asking price, the Beverly House will be the most expensive home sale in California, beating the record of a $US110 million home sold in Malibu in April 2018. 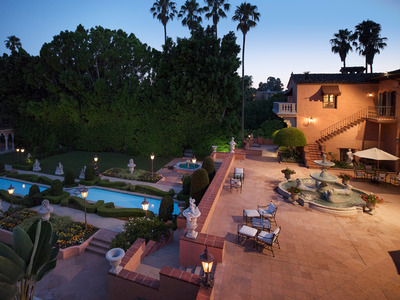 Jade Mills of Coldwell Banker in Beverly Hills has the listing. 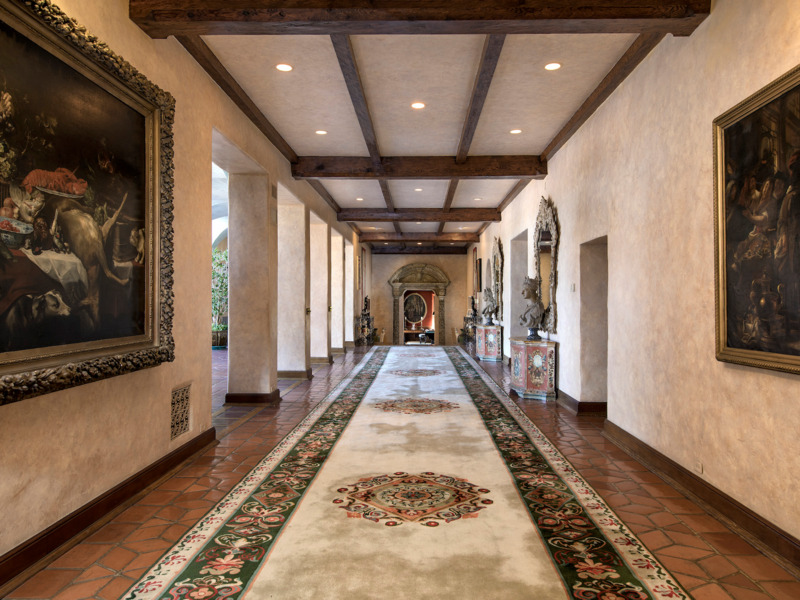 Here’s a look at the estate, which sits on 3.5 acres of prime Los Angeles real estate. 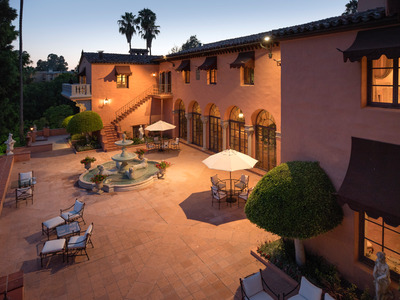 The Mediterranean-inspired mansion in Los Angeles is asking $US135 million. 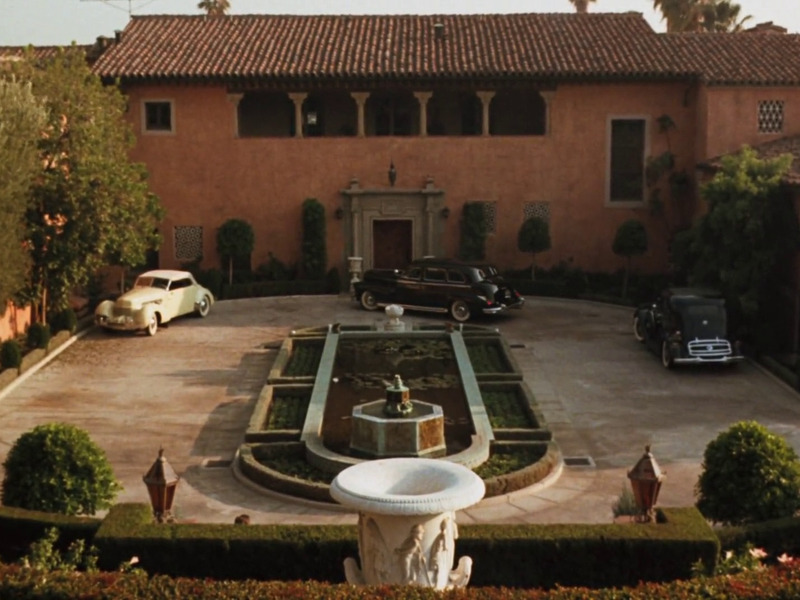 It was used in several scenes from “The Godfather,” where it portrayed the home of the character Jack Woltz, a movie producer. 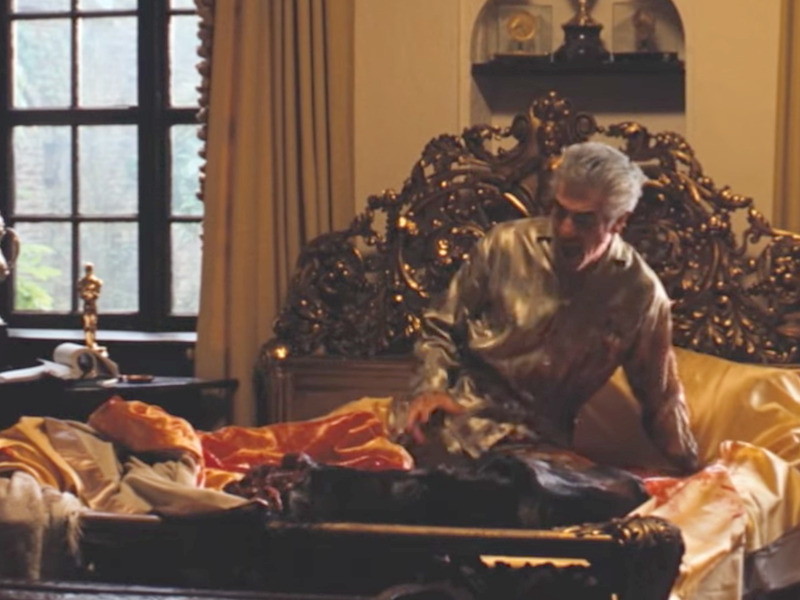 It was the setting for one of the movie’s most iconic scenes, in which Woltz wakes up to a bloody, severed horse head in his bed. 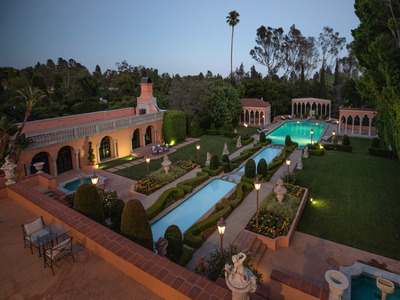 The sprawling estate, built in 1927, sits on 3.5 acres in Beverly Hills. 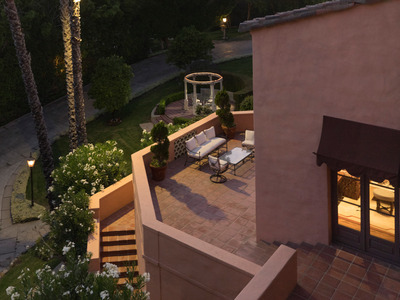 It was designed by Gordon Kaufmann, an architect who designed many other lavish mansions in the Beverly Hills area. 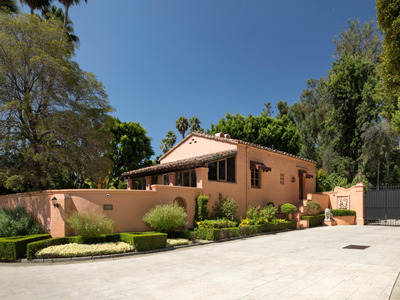 Several additions were made to the home in the 1990s, expanding it significantly. 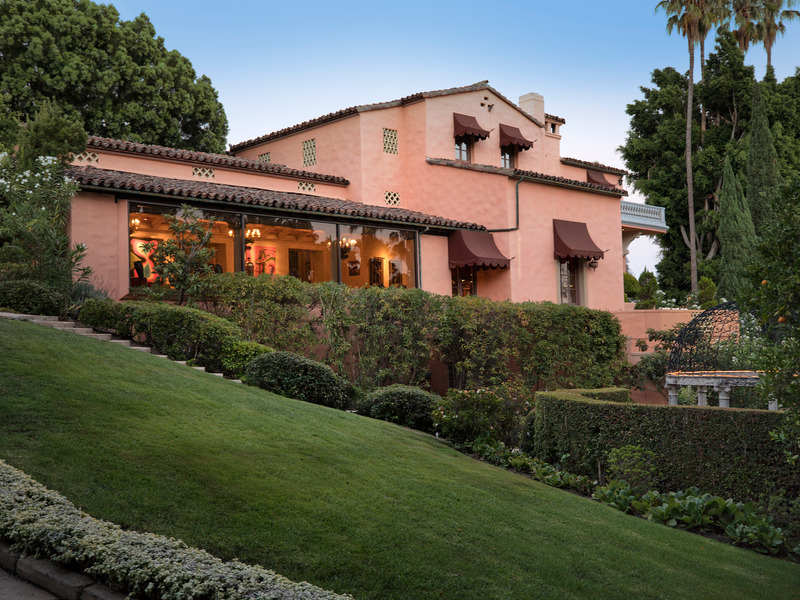 The home once belonged to publishing mogul William Randolph Hearst. It’s surrounded by pristine, manicured gardens and hedges. 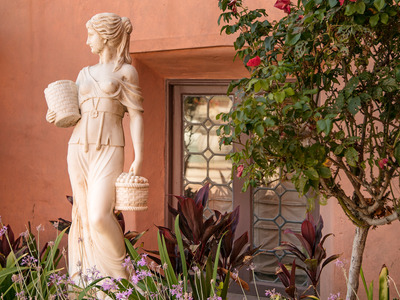 Flowers and statues dot the landscape. Landscape architect Paul Thiene designed the gardens. 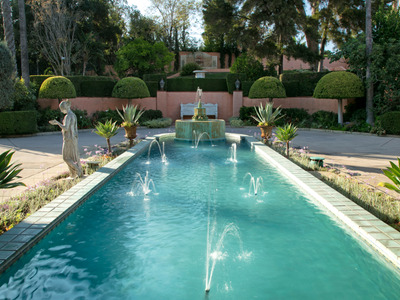 There are two swimming pools on the property, along with what appears to be several water features. 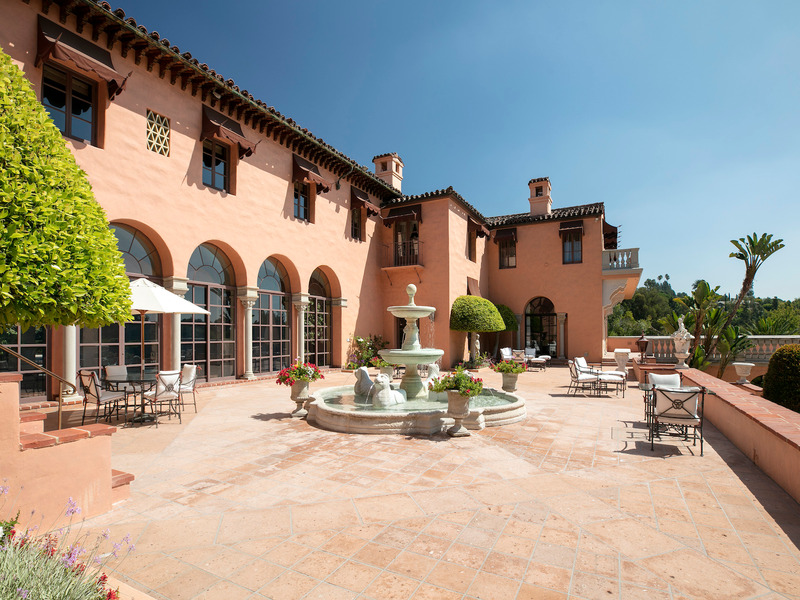 The property was previously on the market for $US195 million in 2016. 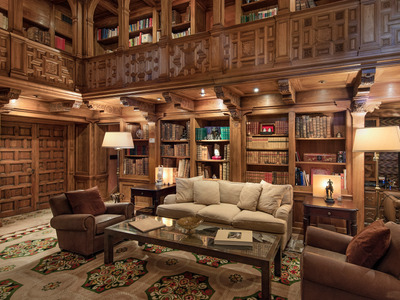 Before that, it was up for rent for $US600,000 a month in 2013. 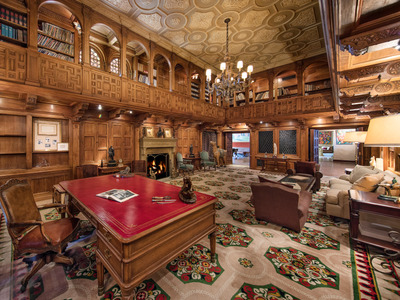 The interior of the mansion is just as impressive as the exterior. 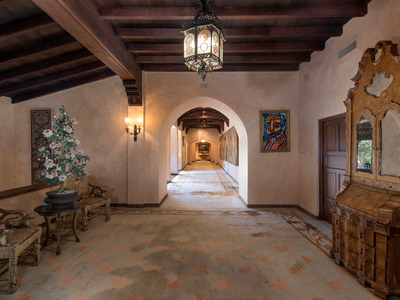 Like the outside, it’s mostly decorated in warm, natural tones. It includes an expansive, two-story library with hand-carved paneling and a detailed ceiling. 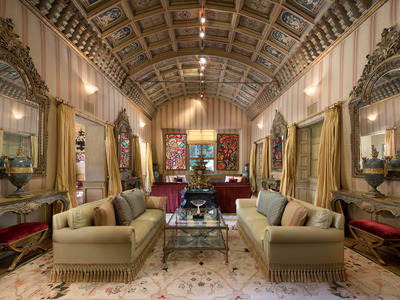 The furnishings are opulent, with gold tones and touches throughout many of the rooms. 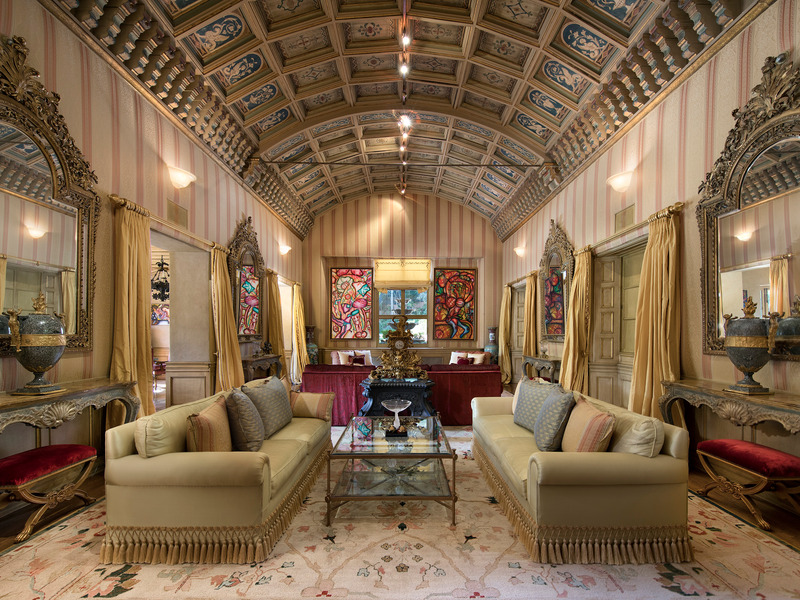 The living room, with its 22-foot-high arched ceiling, was sometimes used as a ballroom. 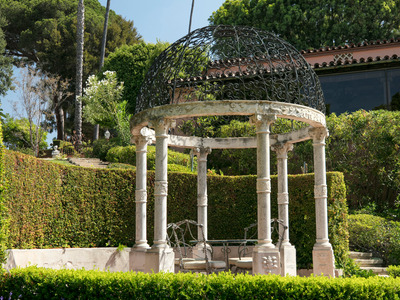 The mansion was well-known even before its appearance in “The Godfather” — John and Jacqueline Kennedy spent part of their honeymoon there. 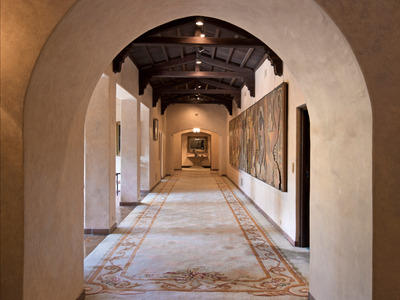 A stroll through the house would take you through its grand hallways, one of which is 82 feet long and the other more than 102 feet with a 40-foot wide mural. 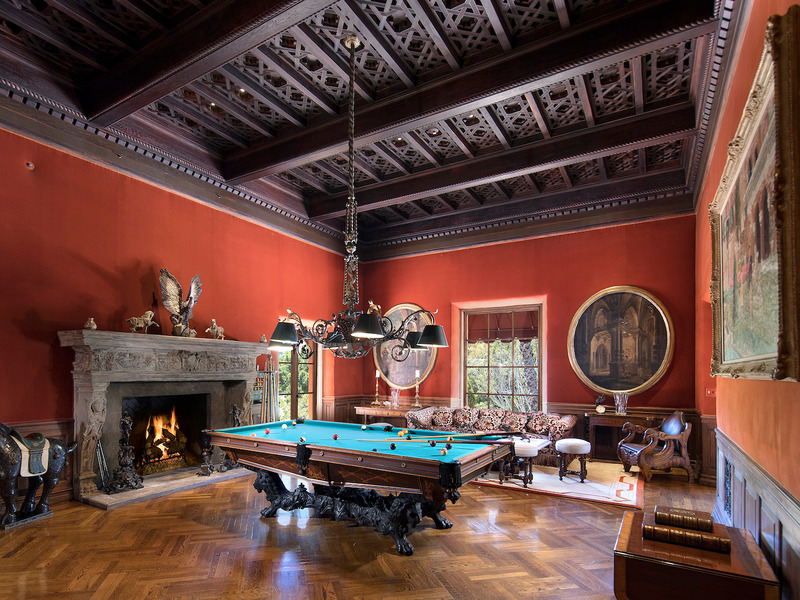 The 32-foot billiards room is open to the main hallway. 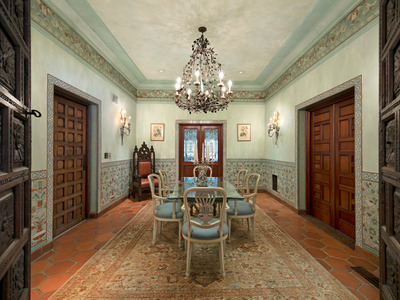 Just imagine eating dinner in this formal dining room. If sold at its current asking price, the Beverly House will be the most expensive home sale in California, beating the record of a $US110 million home sold in Malibu in April 2018. 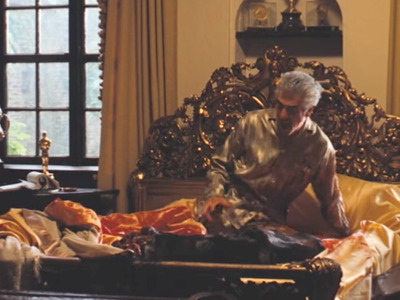 It doesn’t look too different from today. If the 19 bedrooms in the main house aren’t enough, there’s also a separate five-bedroom house on the property near the entry gate. 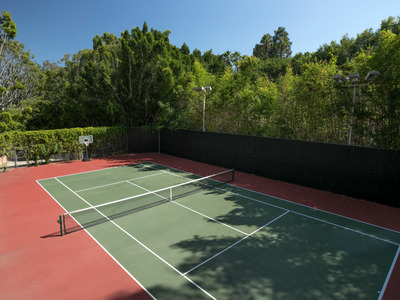 And what would a multimillion-dollar estate be without its own private tennis court? 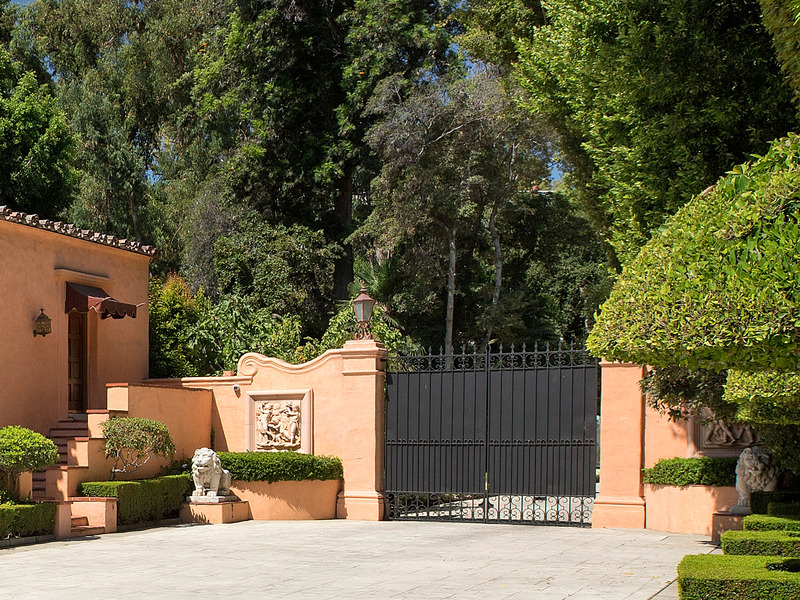 Visitors to the estate will have to go through a wrought-iron gate and up the 800-foot driveway. 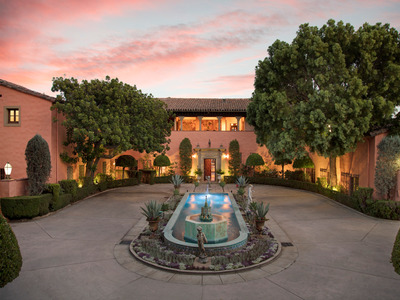 The home has state-of-the-art security systems, according to the listing. The sweeping terrace can reportedly seat up to 400 guests. Even without the horse head scene from “The Godfather,” the Beverly House would be a property that’s hard to forget.